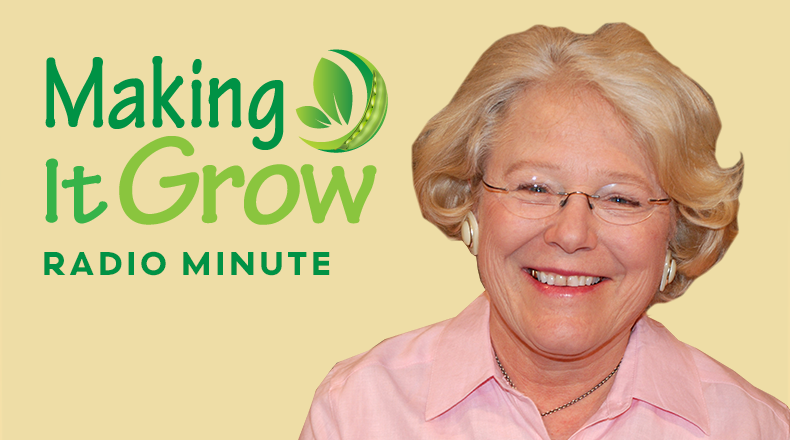 Hello Gardeners, I’m Amanda McNulty with Clemson Extension and Making It Grow. Mulching trees is the best thing you can after you’ve planted them properly; some research shows it can double the rate of growth for newly established trees. A good tip when mulching trees is to think of doughnuts – there’s a hole in the middle. Mulch should start from four to six inches away from the tree’s trunk, if it touches the trunk it promotes disease and decay. Let the mulch extend out at least three feet, six would be even better as it makes the soil easier for those new roots to penetrate. If you use pine straw or pine bark, put out just enough so that it’s about three inches thick when it settles. Not only will mulch protect the tree’s trunk from lawnmowers and weed eaters, but in summer cools the soil and conserves moisture, and acts as a weed barrier.